HTML5 presents new elements and features that redefine the web designing filed and help developers and designers to make websites attractive and effective. A lots of HTML5 tutorials and resources are available over the internet, can help to complete your task in easy & simple way. 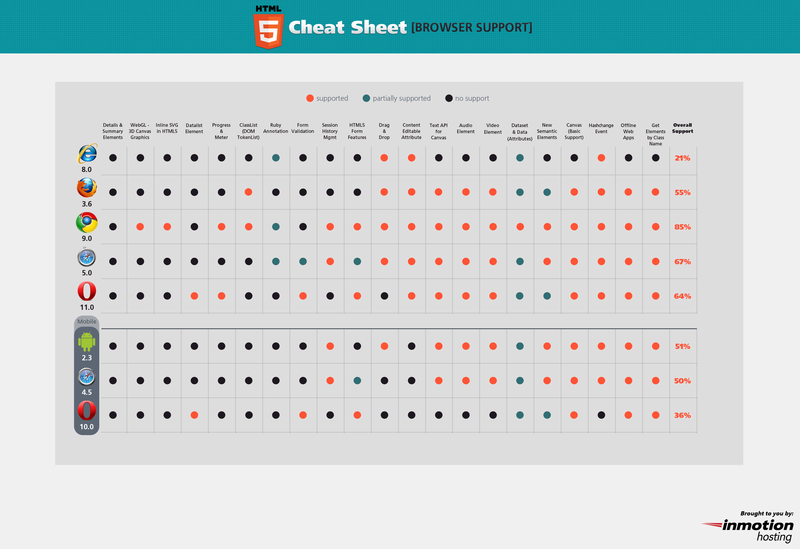 Today we had listed best collection of Cheat Sheets for HTML5 users. 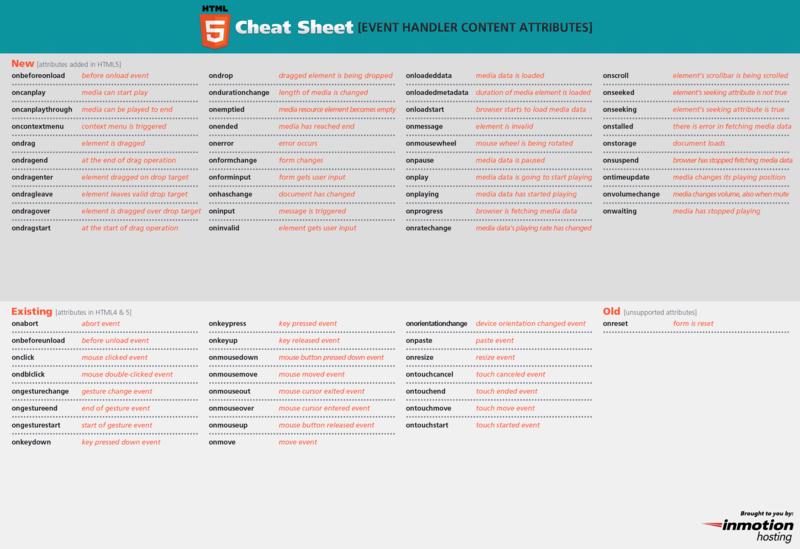 Cheat sheets always plays the most important role for guiding and get all the functions, attributes, elements and tags at one place. This is the best way to find all the information and use them in your project. 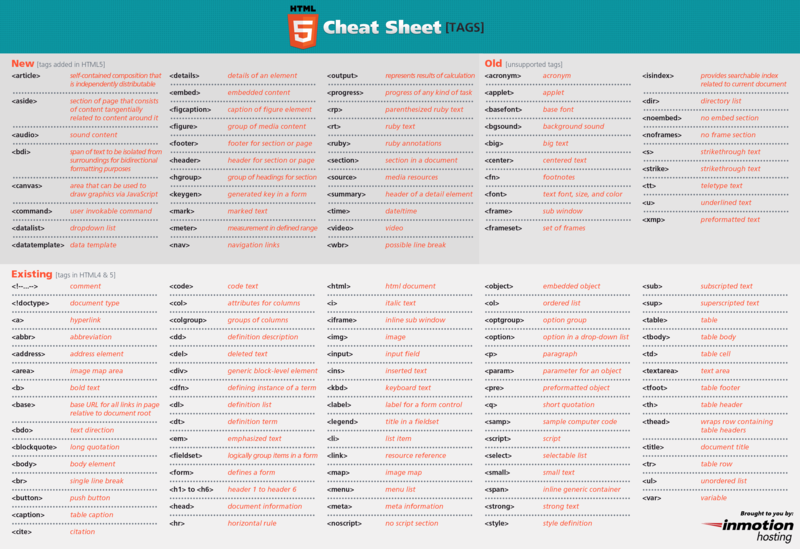 A few days ago, we have shared 75 cheat sheets for designers and developers, some essential cheat sheets for developers, online programming books and much more. I hope you will love to visit this list and keep sharing your thought with us.